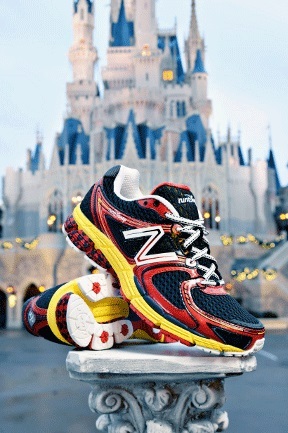 This year, New Balance began a partnership with runDisney and sold a Mickey Mouse and a Minnie Mouse themed shoe. These shoes were sold exclusively at the runDisney Health and Fitness Expos. All year-long, these exclusive shoes sold out crazy fast. When I went to the Disneyland Half Marathon Health and Fitness Expo, I knew I had a choice…wait in line for the official runDisney merchandise or get in line to buy some of those New Balance shoes. I chose the first option because I just had to have one of those “I did it” shirts to commemorate my 19.3 miles for the weekend. I think I chose well. 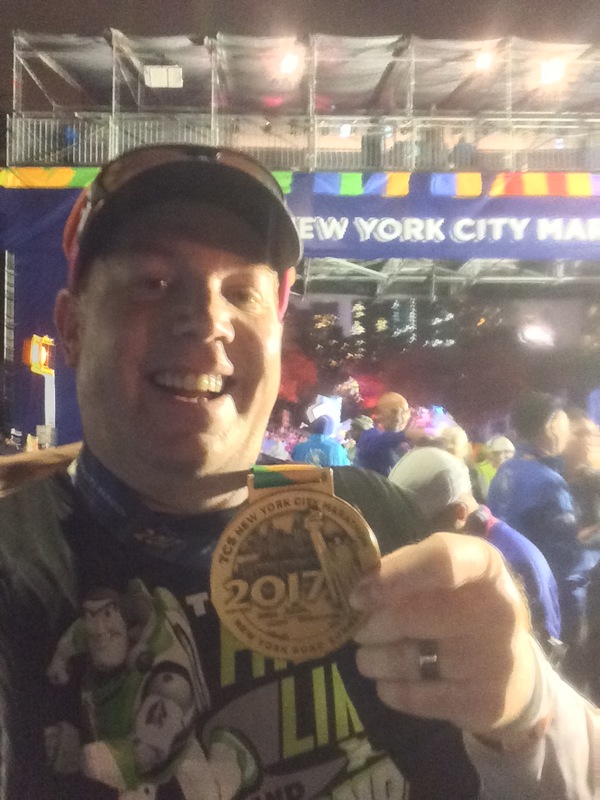 Over this past weekend, runDisney had the first meetup not associated with a race. For those unfamiliar with the runDisney meetups, they are hugely popular. People will stalk the Disney Parks blog, Facebook page, and twitter account for days hoping to catch the announcement when it happens. When they announce the meetup for the upcoming race weekend, you don’t have very long to respond. Spaces fill up very quickly as fans reply to the announcement as soon as humanly possible (and maybe even faster). Those lucky enough to get in, are treated to a run with Jeff Galloway and others in the theme parks before they open (or as they did with the Wine and Dine Half Marathon Weekend, after they close). In addition to the run, they get to hear presentations by various invited runDisney guests. Food is provided and there is a swag bag with lots of fun stuff. 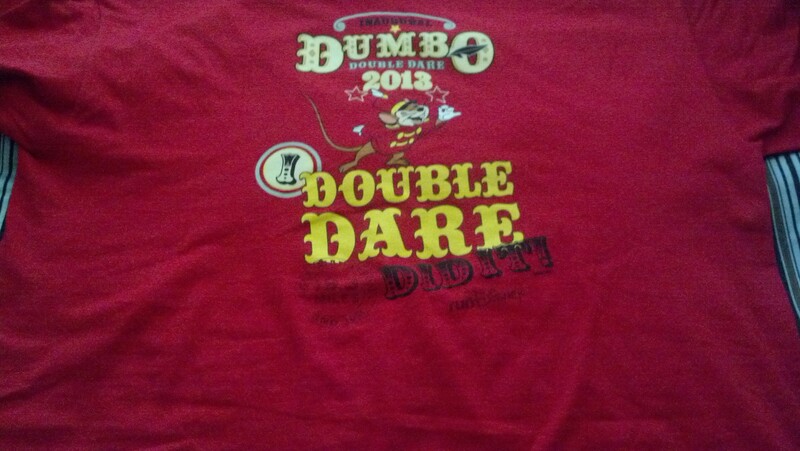 Additionally, you get a runDisney tech shirt that is not sold anywhere. So, they are a really big deal to runDisney enthusiasts. Also, during these meetups, runDisney usually has special announcements that are made during the meetup first. Over the weekend, this first ever meetup not associated with a race happened in Atlanta. One of the bloggers I follow was lucky enough to be a participant. So, if you want the run down of the event, visit the Run, Knit, Travel blog here. 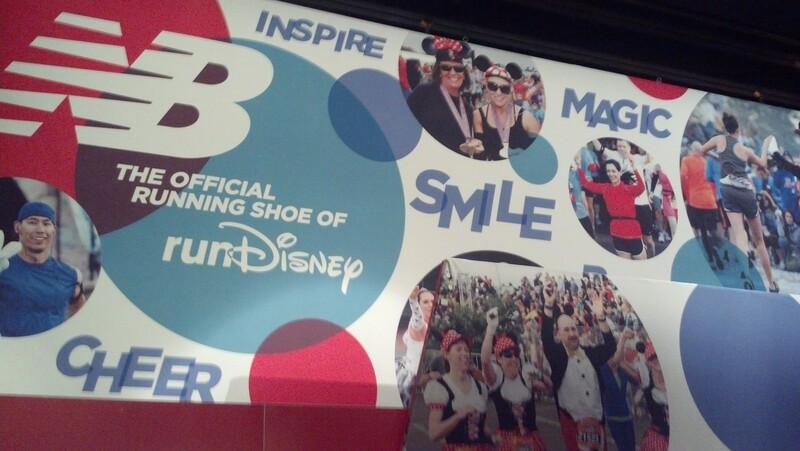 The announcement of the weekend was about the 2014 New Balance runDisney shoe. Now, they had given their first clues to what the next shoe was going to be at the meetup for the Wine and Dine Half Marathon meetup. While there is some overlap in the two videos, the announcements have indicated a few new things coming in 2014 that we didn’t see this year. They are going to be selling race-specific race inserts. There are going to be race-sepcific lace holders. The box that the shoe will come in looks cool. There will be a children’s version of the shoes as well. If you clicked on the Run, Knit, Travel blog, then you know that there is another clue coming December 5th. Hopefully, this clue will show us what the shoes actually look like. The 2014 New Balance runDisney shoe will be a New Balance 860 model. If you’re interested on the pro’s and con’s of the regular New Balance 860’s, check out this review from Runner’s World. The 860 is a stability shoe. So, if you’re not a runner who runs in stability shoes, this shoe will not be one that you’ll want to run in. I am a runner who uses a stability shoe. So, this could be a good fit for me. There is a New Balance store on my weekday running route. I may have to stop by and try on the 860 to see how it feels. Of course, there might be some difference in the runDisney version of this model. However, I think that by trying on the model this shoe it will give me a good idea of how it might fit. Earlier in the year, I read if you were thinking of purchasing one of the runDisney New Balance shoes, you should get fitted for the shoe before going to the expo. That way, you’ll already know the size you’re looking for and the purchasing process speeds along faster. So, will I buy this shoe? I don’t know yet. After trying on the 860 model, I’ll have a better idea. Also, after New Balance and runDisney show us what the new shoe will look like, I’ll have an even better idea. The cool thing is that I will have 3 runDisney expos I can go to in order to purchase the shoe. So, if I decide I want to purchase this shoe, I can try to get it at the Walt Disney World Marathon Weekend Health and Fitness Expo, the Tinker Bell Half Marathon Weekend Health and Fitness Expo, or the Disneyland Half Marathon Weekend Health and Fitness Expo. Since, it appears that New Balance has learned how popular these shoes are, I’m hopeful that this year, they’ll have more of them manufactured for each expo. What do you think? Did you buy one of the New Balance runDisney shoes this year? If so, how do you like them? If not (or even if you did), are you thinking of buying the 2014 version?